Problems with the bladder and urination may indicate cystitis, an inflammation of the bladder that causes a burning sensation when passing urine. Other bladder problems include frequent urination, or its opposite, stagnation or retention of urine in the blad?der, leading to bladder distension. There may be pain in the bladder area while urinating, a condition called strangury. Let's look at each of these. 'Amla' is a rich natural source of vitamin C. Vitamin C (ascorbic acid) is essential for the formation, growth, and repair of bone, skin, and connective tissue (which binds other tissues and organs together and includes tendons, ligaments, and blood vessels). 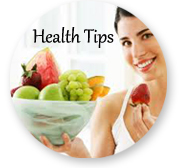 Vitamin C helps maintain healthy teeth and gums. It helps the body absorb iron, which is needed to make red blood cells. Vitamin C assists in the healing of burns and wounds. ?Vitamin C is an antioxidant: It protects cells against damage by free radicals. Take ice cubes in a cloth and rub over the surface. Keep the injured area in an elevated portion if it is in the extremities. Wipe the area clean. Can rub the turmeric with milk in the form of paste and apply over the injury. It will aid in healing of the injury. Have enough of foods containing vitamin C.
Leaf latex of 'calotropis procera' when applied over fresh cuts, the bleeding stops. Dosage : - 20 ml thrice daily is recommened?for bleeding conditions which may be due to haemophillea or any other disease. Gum Care powder: Massage gently over the gums and then rinse with water. Amla Saar: 15ml with equal quantity of water after meal. From the Ayurvedic perspective, blood that fails to clot in a timely manner is due to a pitta imbalance. Excess pitta in the blood makes the blood hot, sharp, and penetrating and doesn't allow natural coagulation and clotting to occur. The basic prescription, then, is to follow a pitta-soothing diet, use pitta-soothing herbs, and take specifically hemostatic herbs, herbs that directly help to stop bleeding. To stop external bleeding, start by applying cold. Use some ice (plain or wrapped in a cloth), which helps to constrict the blood vessels and stop bleeding. A bag of frozen vegetables from the freezer will do the job in an emergency. If the bleeding is in an extremity, raising the arm or leg higher than the rest of the body. Another effective approach is to apply some aloe. A pinch of aloe powder mixed into a paste with a pinch of turmeric powder will immediately stop most bleeding. Aloe vera gel will also be effective. 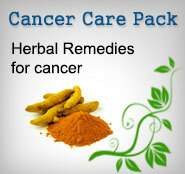 Other astringent herbs are also effective. The Ayurvedic herbs lodhra, kushtha,arjuna and bilva are effective to stop bleeding, either alone or mixed in equal pro. portions into a paste that can be applied directly. They are also effective taken internally for continuing problems with bleeding; use 1/2 teaspoon 2 or 3 times a day. For external bleeding, you will find this ancient, simple remedy effective! Take a small ball of sterilized cotton, ana I burn it. (Be sure it is real cotton, not the synthetic material often found these days, which, will be totally ineffective.) When the cotton turns to black ash, wait for it to cool down, and then apply it to the bleeding wound ana. press. The ash will stick to the bleeding' point and stop the bleeding instantaneously. Within a couple of days a scab will form, ana the wound will completely heal. Note: Don't remove the ash; leave it on the wound to form a scab. Otherwise you will open the cut again. Many times just drink?ing some cold water will stop the bleeding, as coolness constricts blood vessels.